I’ve been aware of 100 day projects for a while now. The ones that help creatives (or not so creatives) create creative habits. 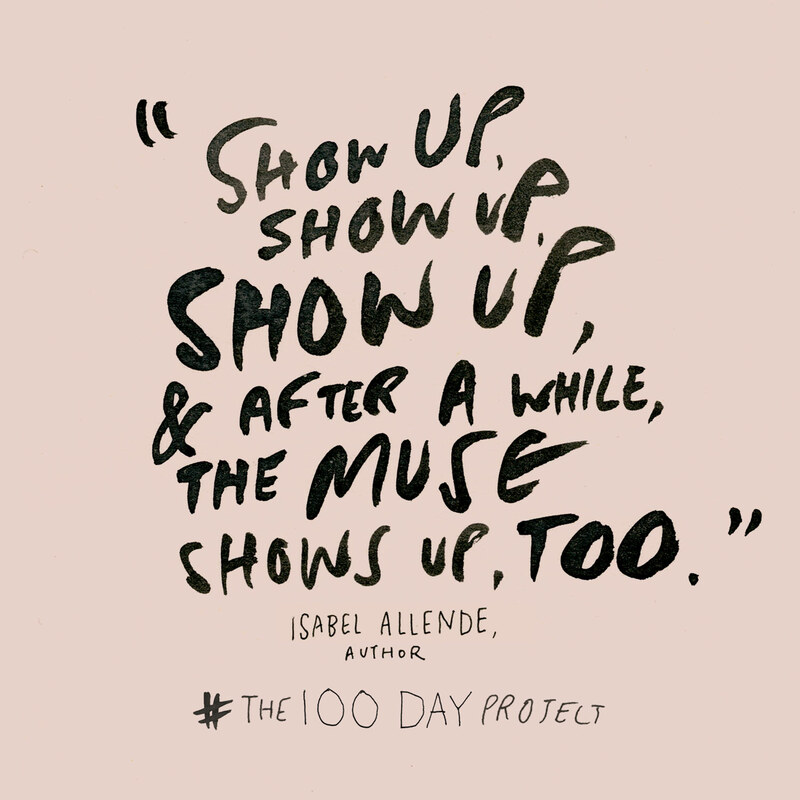 The one I discovered and have decided to commit to is #The100 DayProject -starting (yesterday) April 6, 2015!! Artist Elle Luna came across the idea while at Yale School of art thanks to teacher Micheal Beirut who sets this assignment to graduate design students. He says he was fascinated “with the ways that creative people balance inspiration and discipline in their working lives” and describes the experience and some of the results in this article on The Design Observer. I tossed around a few ideas along the creative lines of making a collage, doing a still life, organising and photographing the bucket of scissors I bought for $20, choosing one medium like watercolour or coloured pencils and playing with that, making patterns, exploring hand lettering – all worthy projects and I’m sure I will do some of them. One day. But I felt the need to be challenged. A need to do something that I really want to do but procrastinate about. 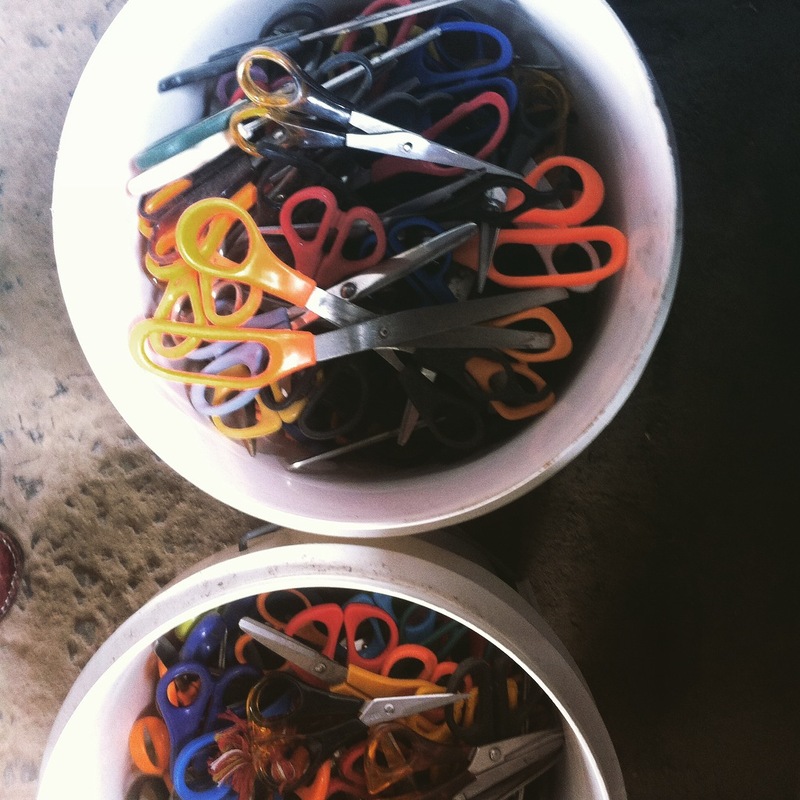 I realised my fascination with this idea was around the psychology of forming a new habit. The project (or challenge) is really about perseverance – steady persistence in a course of action in spite of difficulties, obstacles, or discouragement. (Thank you dictionary.reference.com) There’s all sorts of watercooler wisdom about how long it takes to form a habit (21 days is a popular response) but a study done in 2009 shows that it’s more like 66 days and some types of habits take longer to establish or become automatic than others. So 100 days might be long enough for me to change from procrastinating about making space to actually achieving it. If you’re on Instagram follow #The100DayProjectMakingSpace where you’ll get a daily update of what I’ve done. On the blog I’ll pop in and update my progress every 10 days.